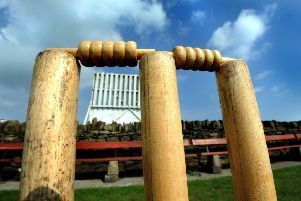 Blyth Cricket Club held their annual dinner and presentation night recently. Chairman Paul Cormack welcomed guests Pauline Blake and Melaine and Richard Mathews, who run the club. With the club president away, Kassie Singh from Blyth Bobcats presented the trophies. The first team batting award went to Gary Quinn, who just pipped Mark Lawrence, who did pick up the bowling award after taking 41 league wickets. The Graeme Smith award for the fastest 50 for the first XI also went to Lawrence. The second team batting award went to Andy Douglas, with the bowling award going to Nobby Gill with 23 wickets. The fastest 50 honour was handed to Kevin Hudspith. The junior award for the first time was shared between two brothers, Harry and Alfie Clark, who were playing their first full season for the club, one 11 and the other 13. They took 31 wickets between them. Harry also made the first team for the last game of the season. Blyth’s midweek team was successful in the RE Wood Shield, beating Warkworth in the final. Craig Smith picked up the trophy, and the league’s player of the year award went to Mark Lawrence. Finally, the catch of the season went to a player who turned out fror the first XI as a sub in a game Blyth looked like losing. The one-handed diving catch was taken just a few inches from the ground by Daniel Jackson. Looking ahead to the new season, the club have signed a few new players. Joining Andy Ebdale is Will Asher from Kirkley. He is an opening batsmen and a useful bowler. Lawrence will once again be first team skipper and Craig Smith his vice-captain. The second team have a new skipper in Andy Douglas, dropping down to vice-captain is Colin Blackett. Craig Smith will captain the midweek team with Adam Young running the side. At the presentation night there were the usual members from St Cuthbert’s Church. The chairman also mentioned Brian Graysmark who is poorly. Also at the dinner was new player Andy Ebdale, who has joined from Washington, and his father Colin. After the meal, the chairman thanked Hartford caterers and then went on to thank David Dent for his work on the ground, with helpers Mark Lawrence, Craig Smith, Colin and Ben Blackett and Nobby Gill. He then thanked Claire Gill and Katie Blackett who are the team’s scorers. He also praised the junior section, Blyth Bobcats, which Surgit Singh continues to run on Sunday mornings with help from others, and tea lad, Debbie Eastman for her time on match days.